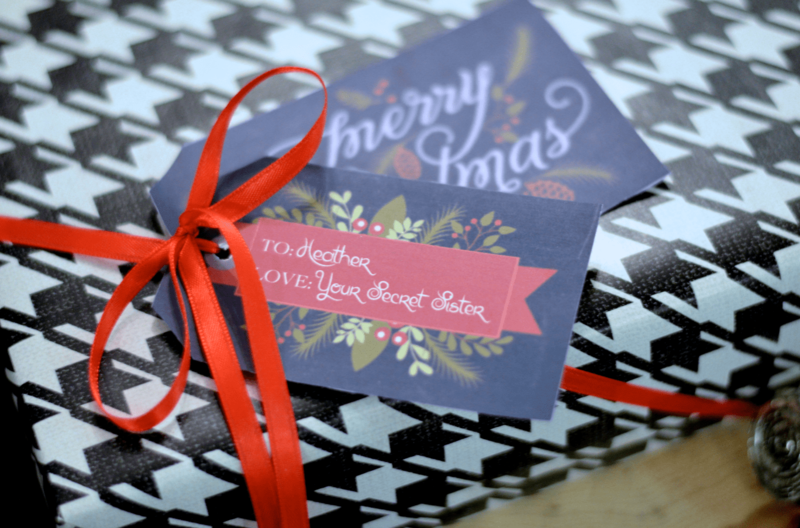 Have you guys seen that “Secret Sister Gift Exchange” floating around Facebook? You know the deal, you send a gift to one person and then you get 6-10 friends to participate so you’ll end up with 6-36 gifts back, after for only giving one… I really loved the idea of giving gifts, but the whole chain letter (pyramid) concept, get something for nothing, (from people you don’t know) seriously freaks me out! And the idea of my personal information floating around seems unsafe to say the least. What is a girl to do? Being the clever girl that I am, I created a private Facebook group for about 15 of my friends who wanted to participate in a safer gift exchange, no strangers involved. The concept is safe and simple: Send a gift, receive a gift. The only other rule is to share something you love within a $15-$20 budget. As most of you have probably noticed, I love a lot of things, yet I still find it very challenging to give something meaningful (and also something they’ll use) without resorting to an impersonal gift card for these types of things. So the hunt began for good gift ideas. 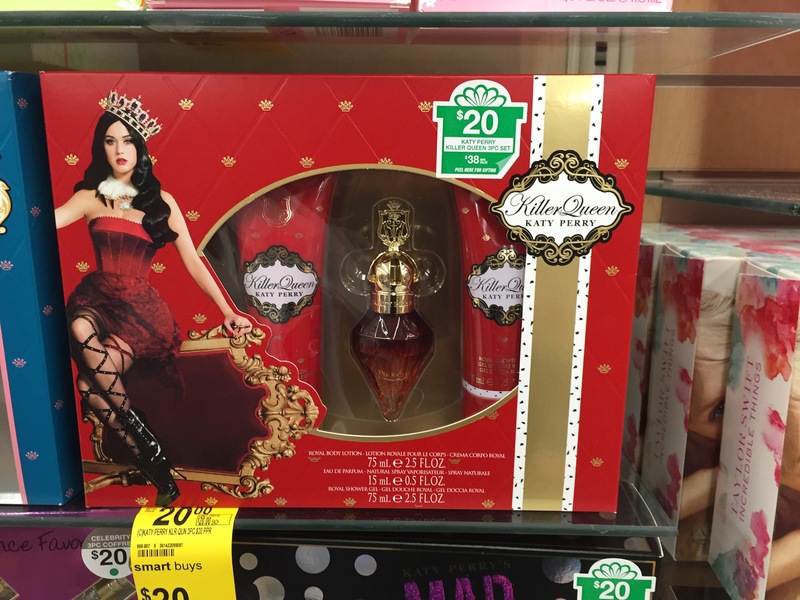 While making a quick trip into Walgreens to pick up some cough medicine for my runny-nosed three-year-old, in a place I wasn’t even thinking to look, I see it! An entire display (right at the front door) of gift sets right in the $10-$30 price range, stocked full of fragrance gift sets. Which was actually $4 less after using this coupon. I know its still November, but I hate stressing about Christmas gifts, and nothing stresses me out more than waiting for the last second to rummage through picked over shelves, which usually leads to gifting gift cards, and I hate that. Besides, I love receiving perfume as a gift. Its pretty much always on my birthday and Christmas wish-lists, anyone who knows me well, knows that I love smelling good, (so take notes if you got my name in a gift exchange this year.) Its truly the gift that keeps on giving, or at least, the gift that keeps on reminding me of who gave me a gift I love, which is a good thing too. 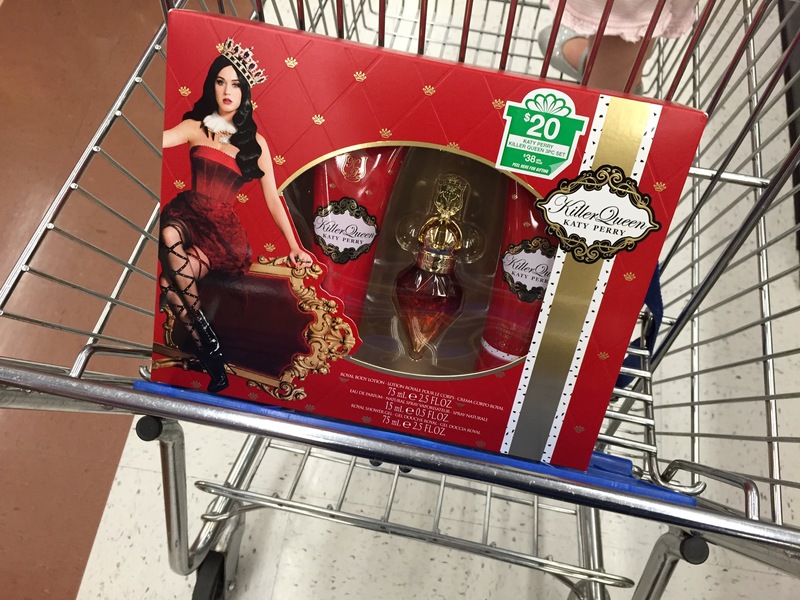 After looking through the many choices, I decided to go with a fragrance set by one of my favorites, Katy Perry. Because its a “Secret Sister Gift Exchange” (and I’m not allowed to say who gave the gift) I wanted to give something that was a personal favorite, since I’m also a BIG Katy Perry fan. 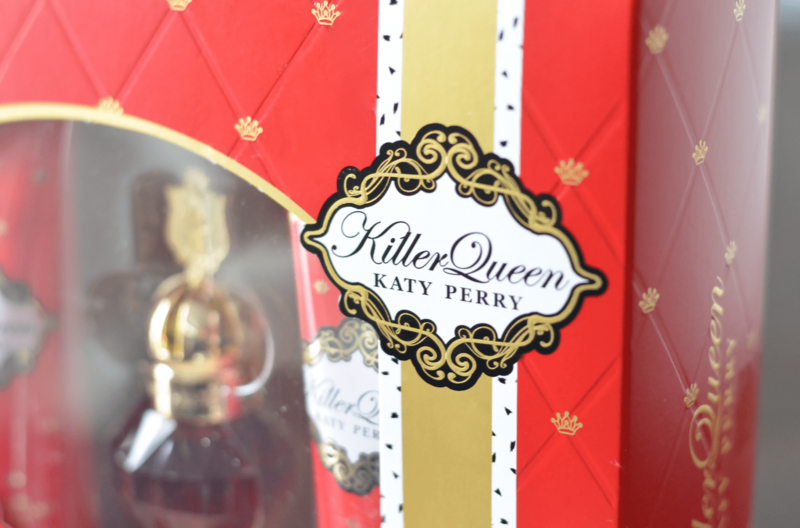 I went with the Christmasy-looking “Killer Queen” set, because it is literally ready to be wrapped and delivered. Which was perfect, because I don’t like stressing about presentation if I don’t have to, and because this gift also has to be sent in the mail. After taking off the price tag, (do NOT forget this step) I wrapped it in a black and white houndstooth (another thing I love) wrapping paper with a bright red ribbon and tied it all together with these gorgeous coordinating chalkboard gift tags I found on Pinterest. Don’t worry, names have been changed to protect the innocent, or else it wouldn’t be a secret would it?! I can’t wait to send this gift, I know she is going to love it! If you’re wanting to give the gift of a lasting impression, and take a little gift giving stress off of your plate, grab your favorite fragrance gift set before the crazy rush of the holidays. How will you be #GivingAMemory this year? Find more ways to gift a memory this holiday season by clicking here. I agree! And it’s something that will last a long time!